According to the National Highway Traffic Safety Administration (NHTSA), someone is involved in a car accident every ten seconds in the United States. This high frequency of car accidents makes motor vehicle accidents the most common personal injury cases in the courts today. In most states, motor vehicle accidents are covered by negligence law, although the driver that caused the accident is irrelevant to the case. Bell Island is Nebraska's only Board Certified Specialist in DUI Defense by the National College for DUI Defense. Driving while under the influence also known as operating while under the influence, operating while intoxicated, operating while under the influence or drunk driving can be proven in several ways. There are various ways that Personal Injury may result. Personal Injury may be caused by defective or dangerous consumer goods, motor vehicle accidents, slips and falls or even animal attacks. Personal Injury attorneys are experienced with recognizing the strengths and weaknesses of your case. They know before you pursue legal action if you have a potential case and what would be needed to make it stronger. Island Law Office, PC, LLO has built their practice through strong legal representation founded on the quality relationship they have with their clients. We pride ourselves on our accessibility and responsiveness to your needs. Unlike many law firms, when you call Island Law Office, PC, LLO, you will speak with someone who understands your individual situation and is able to discuss the progress of your case with you. We are a full-service litigation firm experienced in the negotiation and litigation of personal claims, ranging from motor vehicle accidents and workplace injuries and deaths to defense of criminal charges and family law disputes. 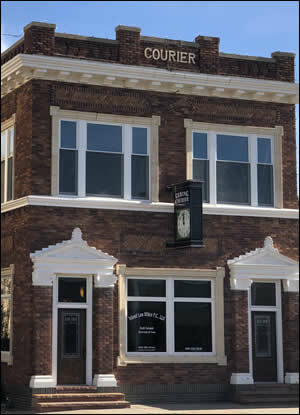 Welcome to the law firm of Island Law Office, PC, LLO located in Gering, Nebraska. We zealously represent individual and small business clients in a broad range of legal areas throughout the panhandle region, including: Criminal Defense, DUI & Traffic Violations, Family Law, Estate Administration, Litigation & Appeals, Motor Vehicle Accidents, Personal Injury, Wills & Trusts and Wrongful Death. Our firm can assist you in Personal Injury Cases, Defense of Criminal Charges, Driving While Under the Influence and Traffic Violations, Estate Planning and Administration and Family Law. Please do not send the completed form to our office. These forms are provided for your convenience. Completion of these forms will assist the attorney in providing you with advice on your case. Island Law Office has built their practice through strong legal representation founded on the quality relationship they have with their clients. We pride ourselves on our accessibility and responsiveness to your needs.